Robert Lewis is Chief Marketing Representative at the NYS Dept. of Agriculture and Markets. He is responsible for planning and administering statewide programs that promote economic development of NYS agriculture and benefit farmers, consumers, and communities through the establishment of retail and wholesale farmer-to-consumer direct marketing facilities and arrangements. 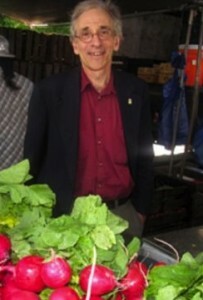 Before joining the Department of Agriculture and Markets in 1978, Bob co-founded the Greenmarket program in New York City. He is leading the Department’s USDA funded NYC Wholesale Farmers Market Study and is involved with the Department’s Farm-to-School Program.